Relationships: There are nearly 150 species of maples worldwide. Most are from eastern Asia. North America is home to about a dozen. 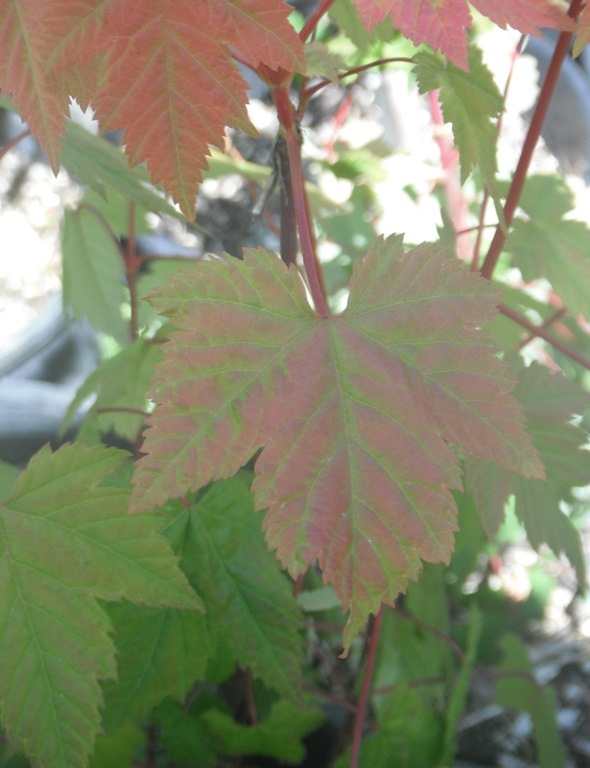 Maples are popular ornamental trees and there are many cultivated varieties. 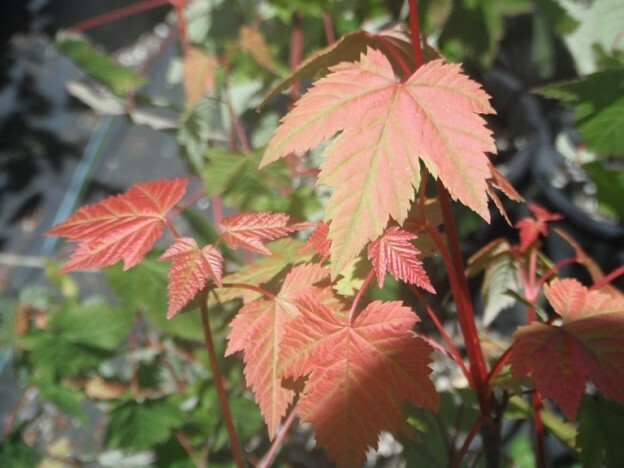 We have three native maple species in the Pacific Northwest: Big-Leaf Maple and two more shrubby cousins, Vine Maple, Acer circinatum, and Douglas Maple, Acer glabrum. 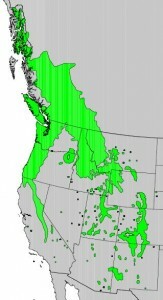 Distribution: The variety douglasii, is found from coastal southeast Alaska and British Columbia, to southern Oregon; east to Idaho and Montana. 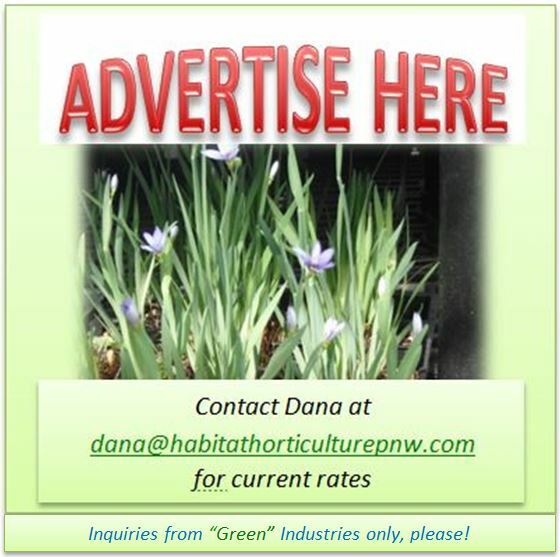 Growth: It is a small tree or shrub to 30 ft. (10m), usually multi-stemmed. 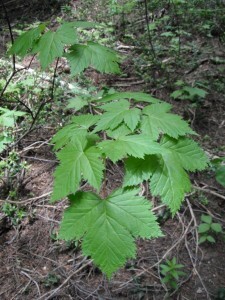 Habitat: Douglas Maple will withstand drier, more open sites than Vine Maple and will also withstand colder temperatures. Wetland designation: FAC, Facultative, it is equally likely to occur in wetlands or non-wetlands. 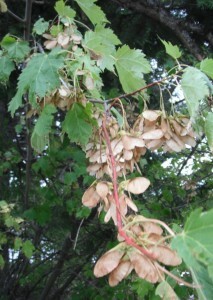 Diagnostic Characters: The toothed leaves of Douglas Maple are 3-5 lobed, 1-3 in. (2-8cm) wide. Young twigs are usually reddish, in contrast to Vine Maple’s green stems. The flowers are greenish-yellow. The samaras are about 1 in (2-3cm) long in a V-shape. 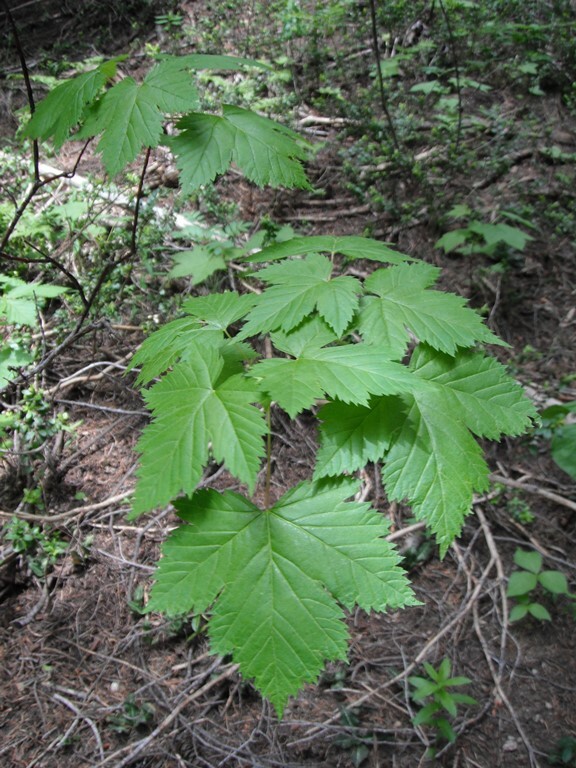 In the landscape: Douglas Maple can be used in the same way as Vine Maple. Fall foliage ranges from yellow to orange to crimson. Use by natives: Natives used Douglas Maple for snowshoe frames. Use by wildlife: It is an important browse species for deer, elk and other big game animals. Grosbeaks and small mammals eat the seeds. 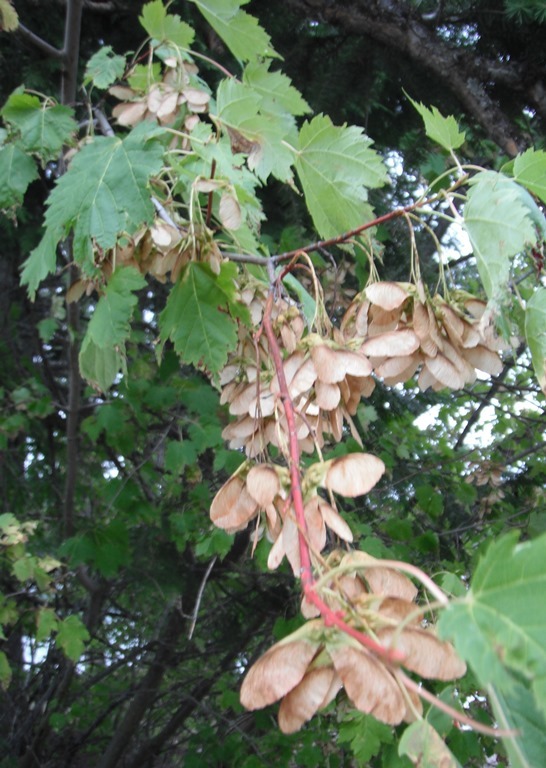 This entry was posted in Broadleaved Trees on June 15, 2015 by habitatdana.